Tangi Meat Market is proud to bring our 50-year tradition of providing affordable, fresh, and high-quality meats to Downtown Hammond, along with some exciting new offerings! 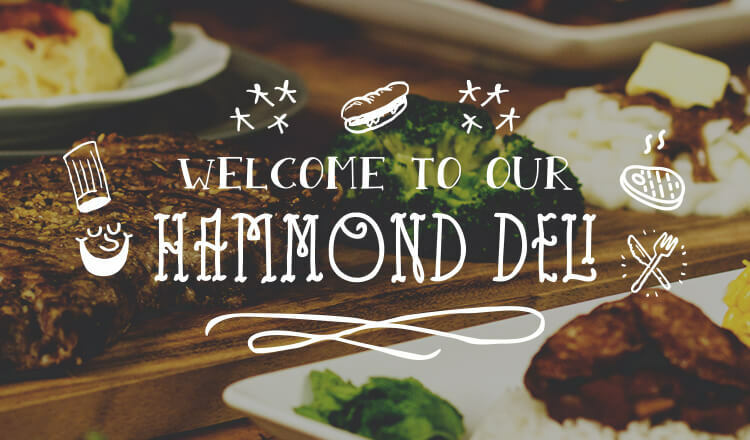 In addition to local staples, like scrumptious smoked sausages and succulent pork, we've added a fresh deli to our lineup. Whether you're looking to grab a quick and tasty pressed panini for lunch, or stock up on dinnertime favorites like our popular discounted meat bundles — our Downtown Hammond location has just what you're looking for!